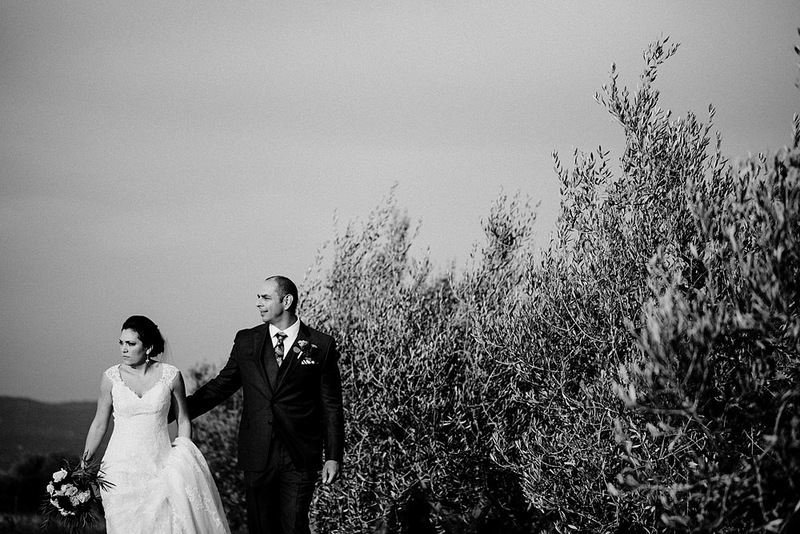 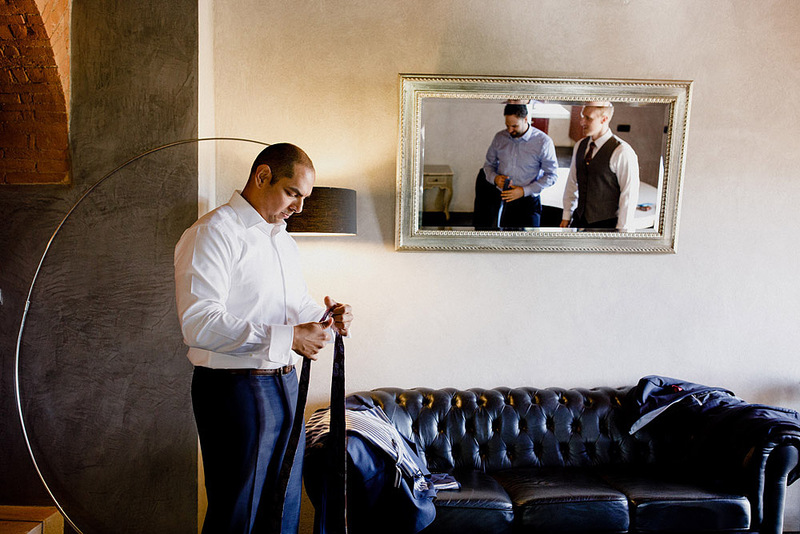 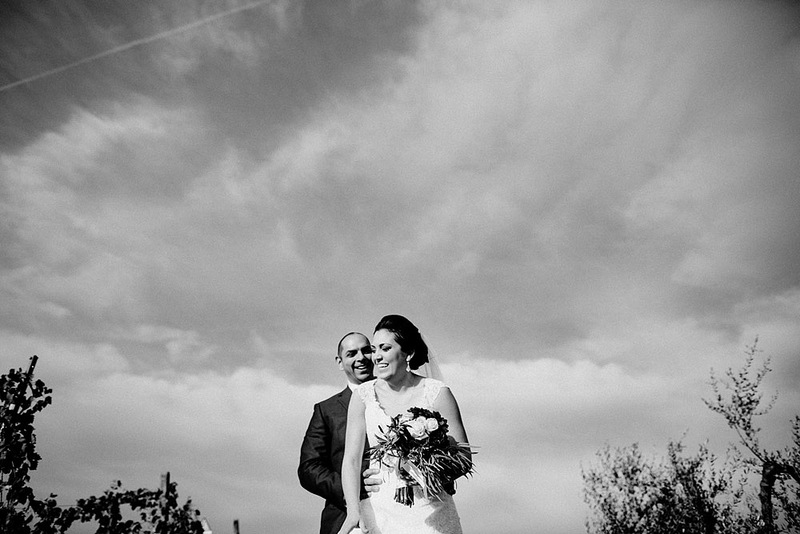 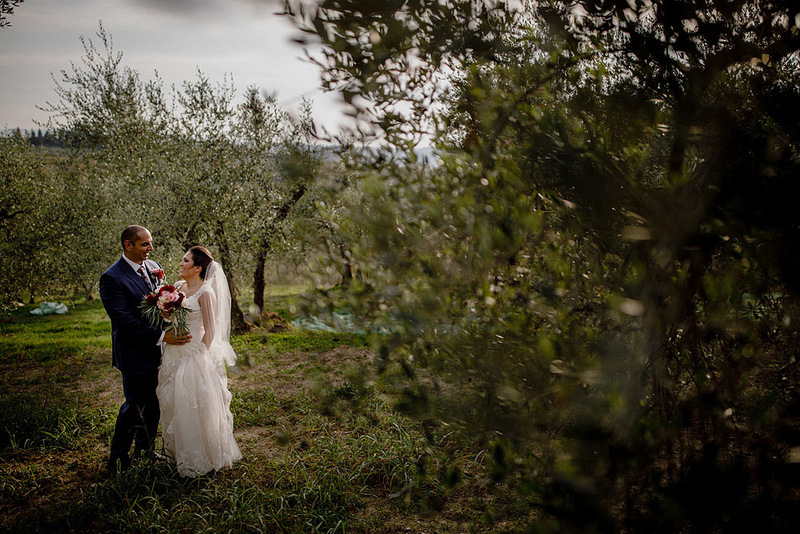 Simon and Nadia come from Houston, from the USA to Monterappoli to get married. 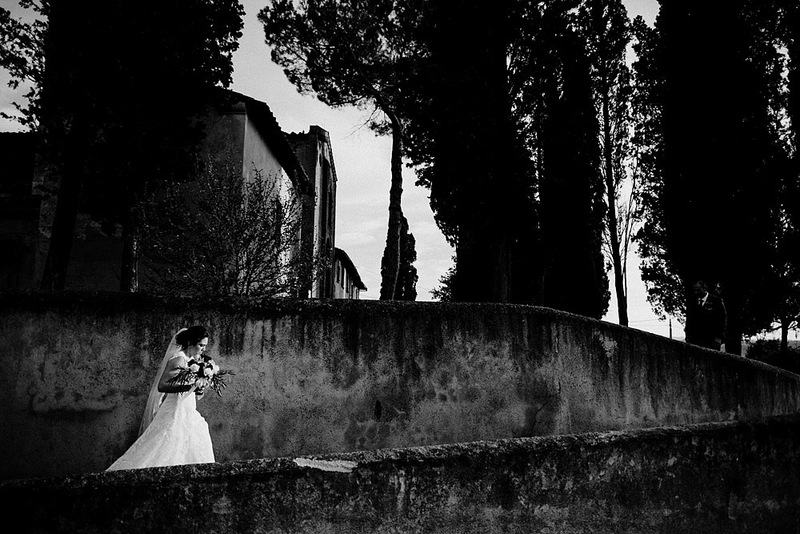 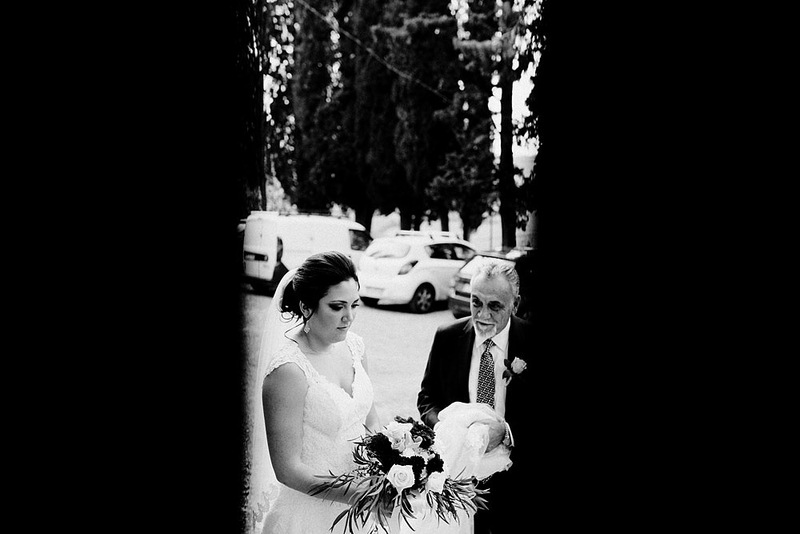 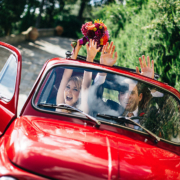 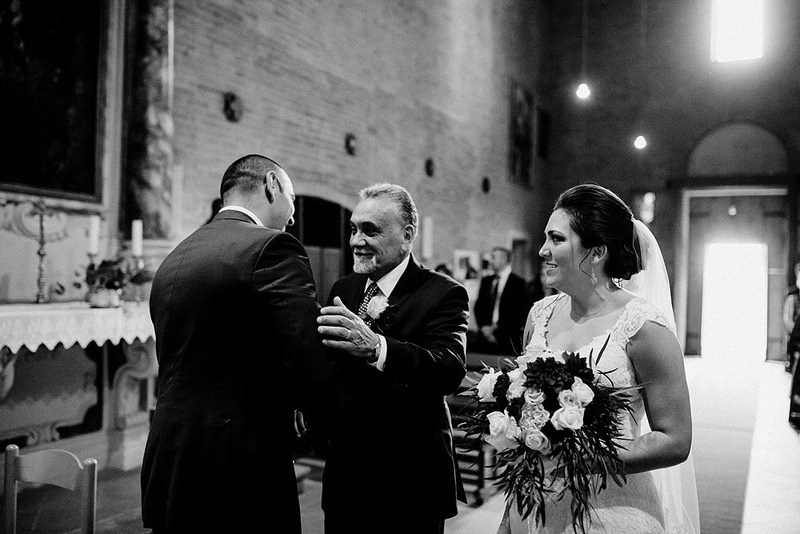 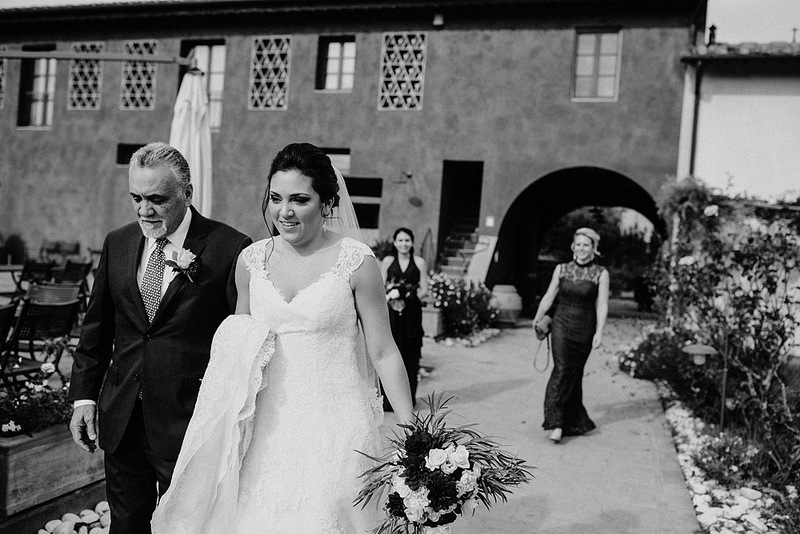 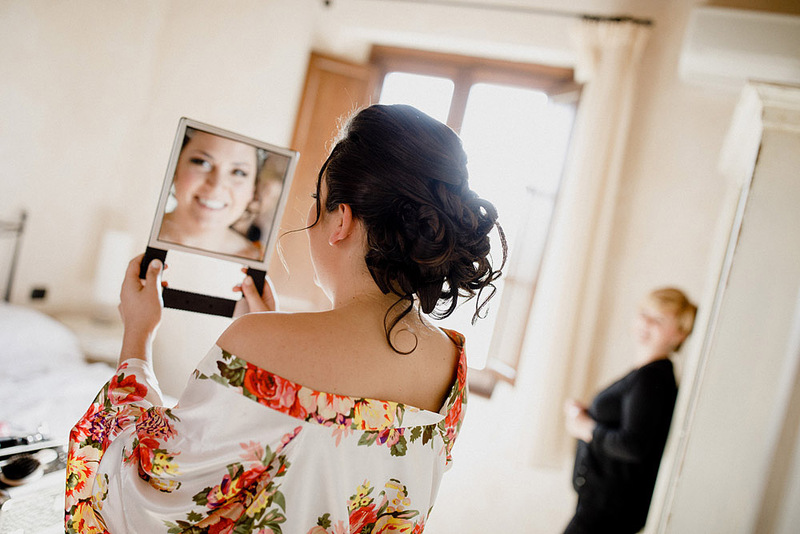 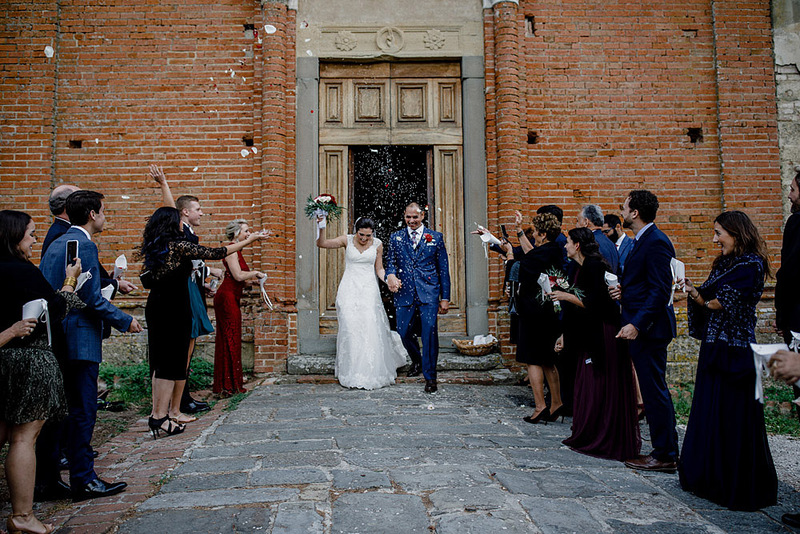 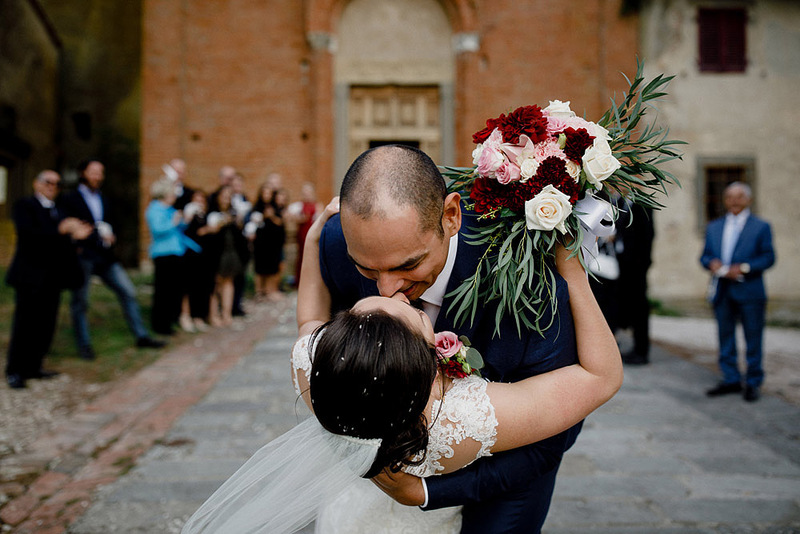 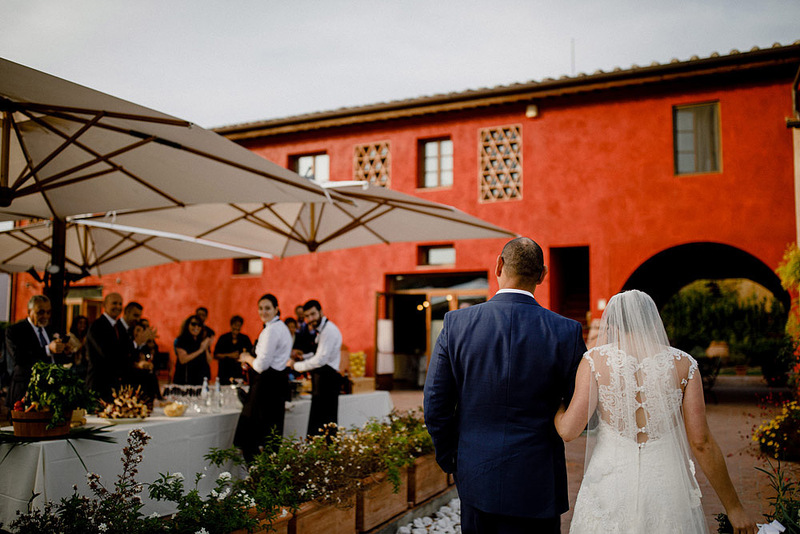 The two young people chose the Romanesque church to celebrate their wedding in Tuscany with their friends and relatives. 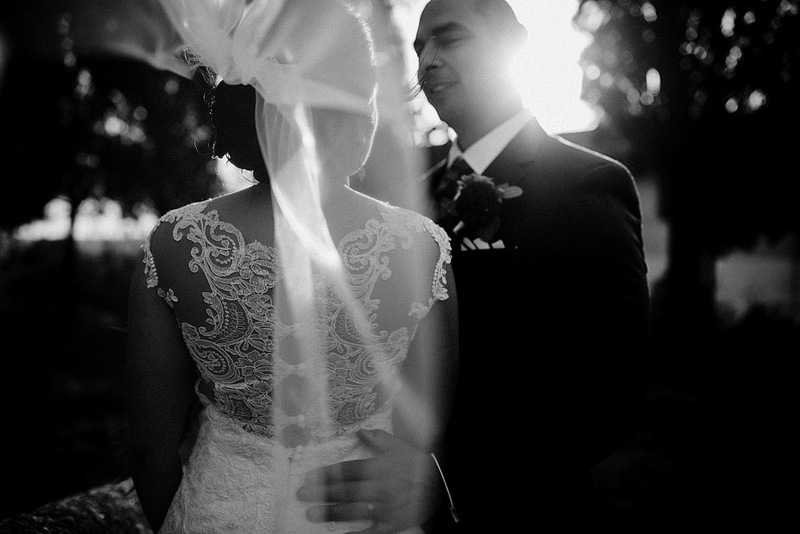 They arrived here a few years ago thanks to a family holiday. 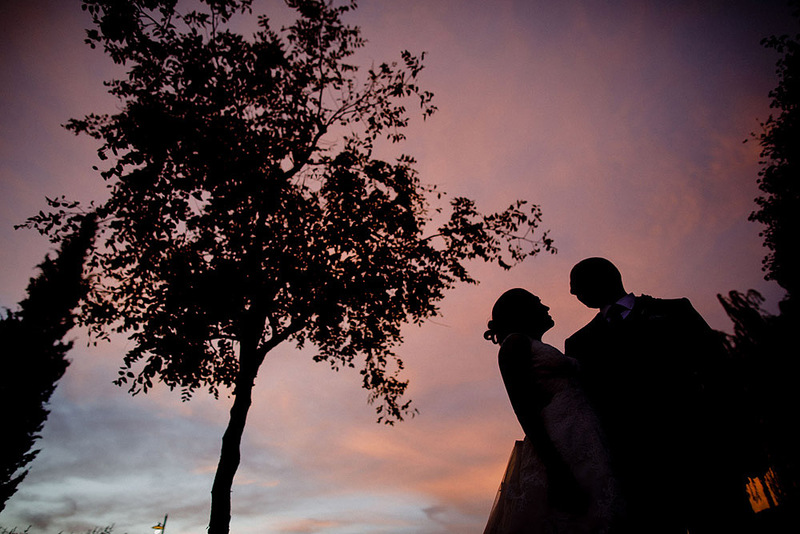 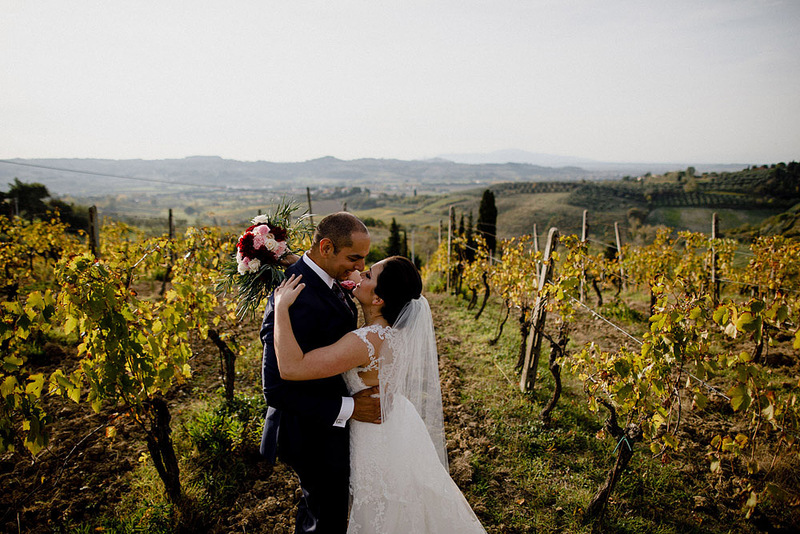 The small Tuscan village conquered the two engaged couple, who decided that this would become the scene of their wedding. 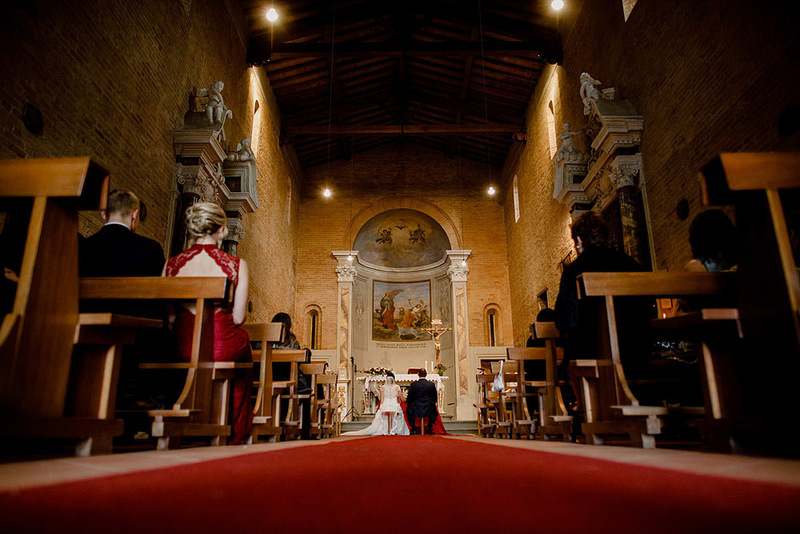 The Catholic ceremony, which united Simon and Nadia, was held in the Church of St. John the Evangelist in Monterappoli. 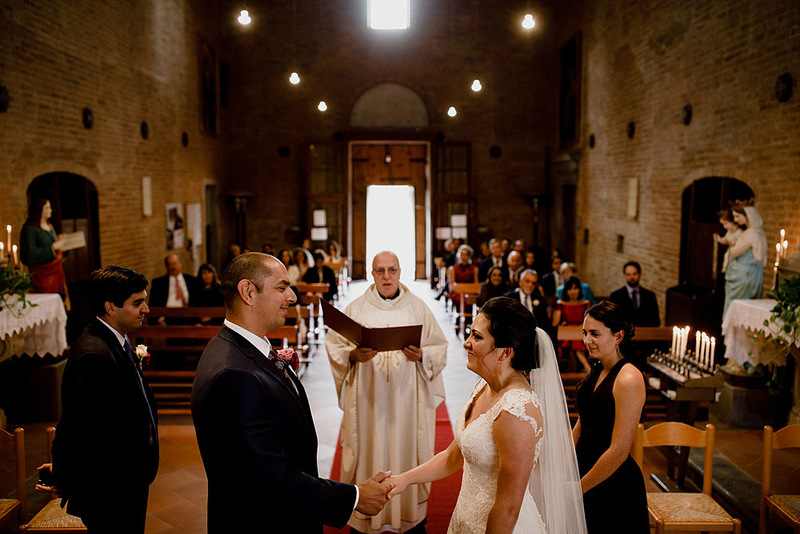 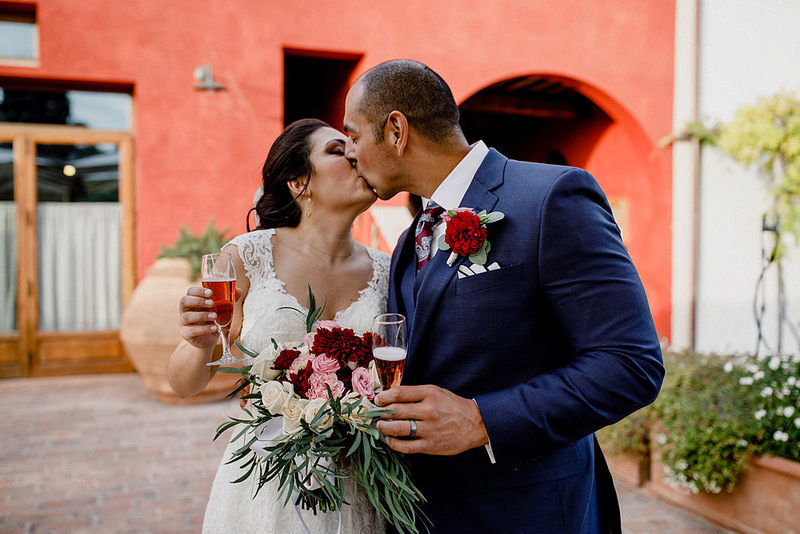 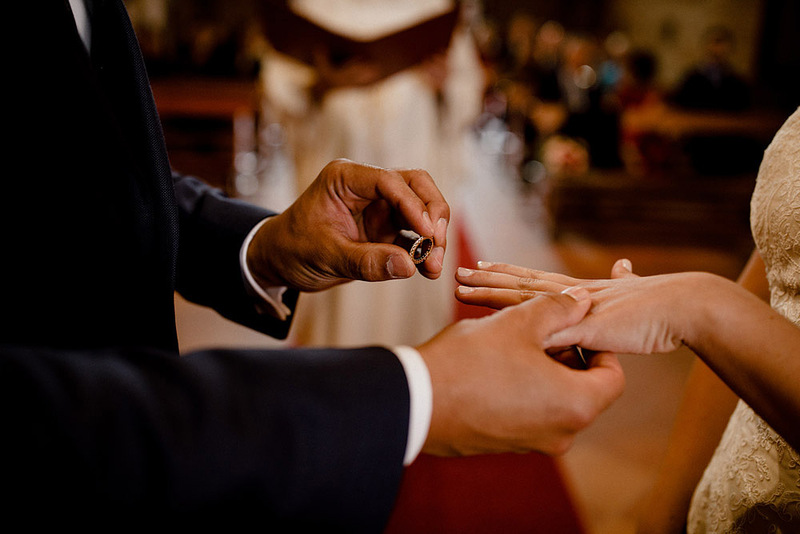 The two chose the Romanesque jewel as the setting for their wedding. 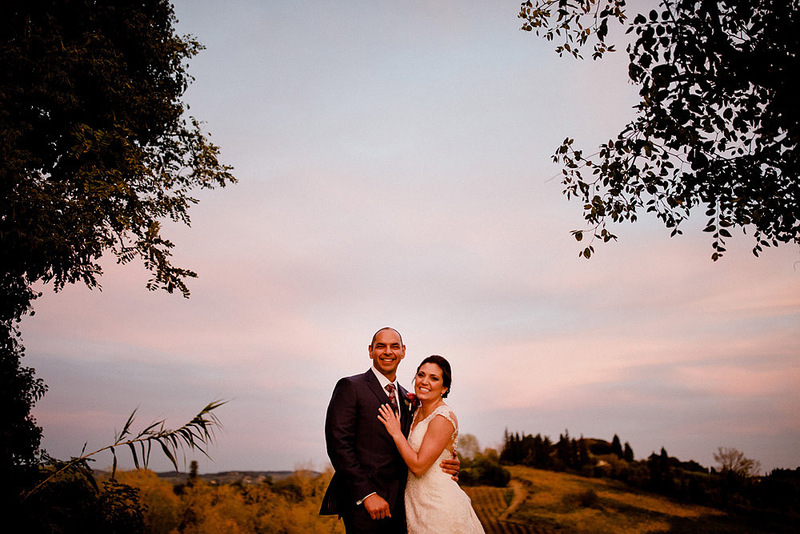 The village is a special place and Simon and Nadia fell in love with it as soon as they visited it for the first time. 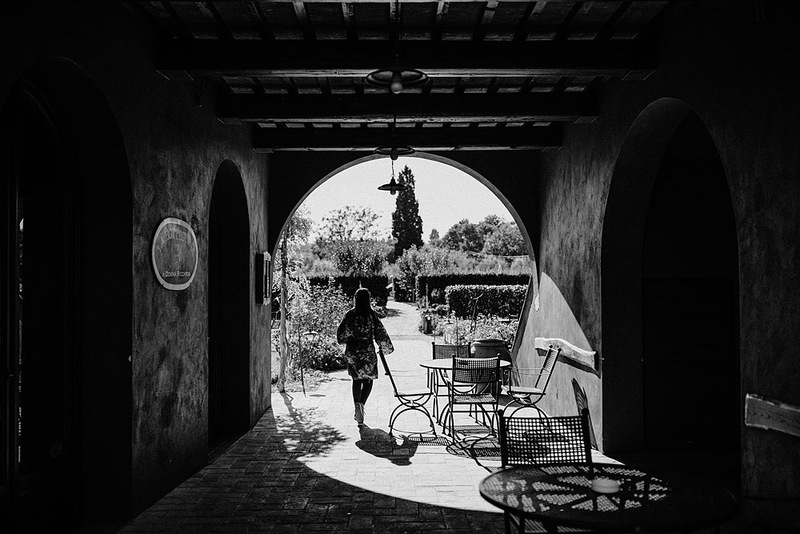 It is a magical place, a building that has almost a millennium of history, a dream. 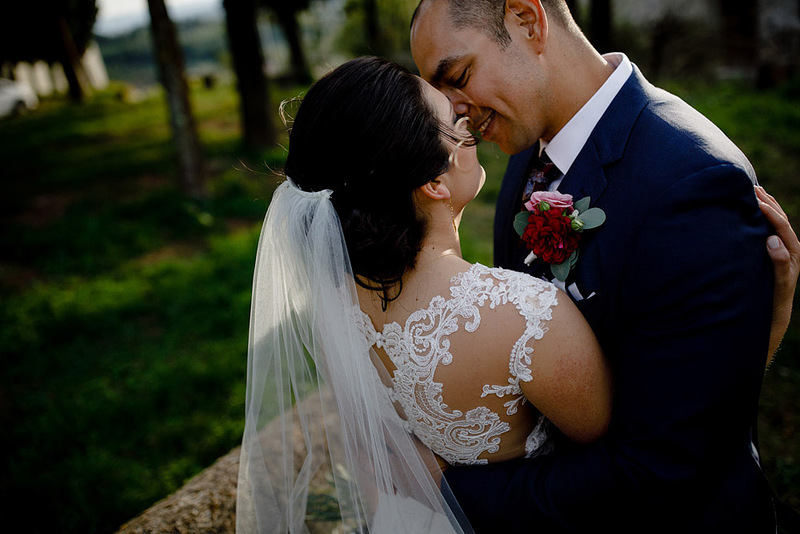 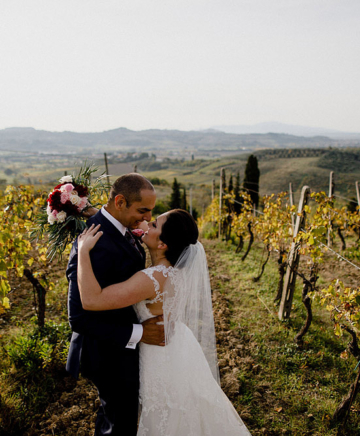 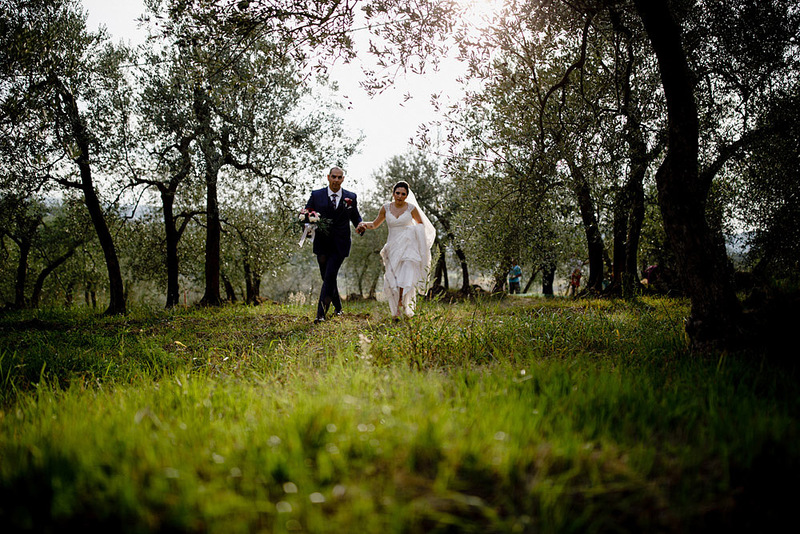 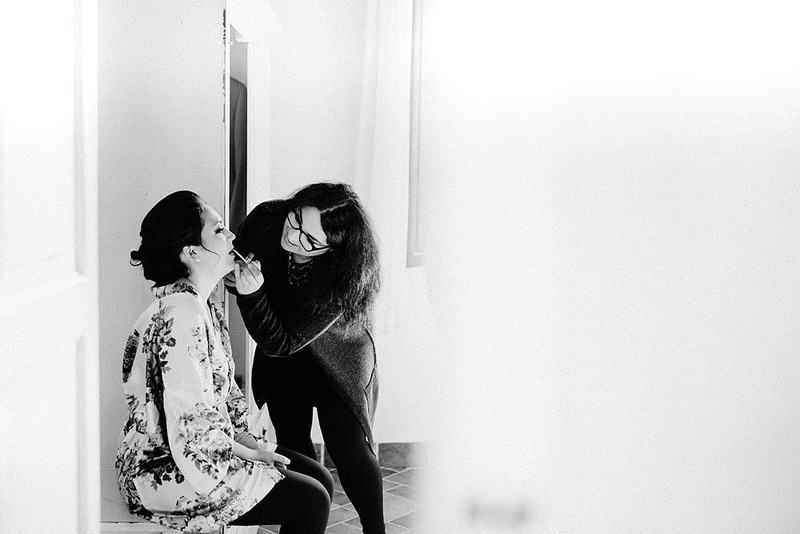 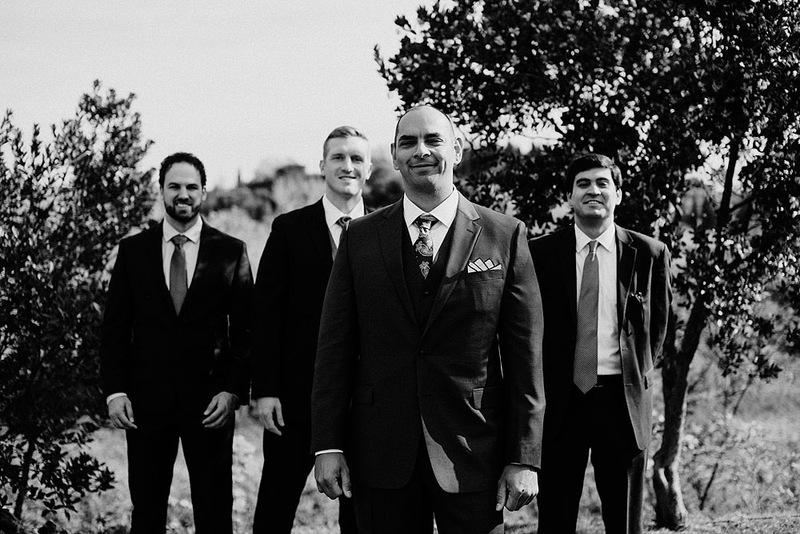 Their wedding in Tuscany is inspired by this beautiful land, from the choice of the church, to the location of the reception, to the background for photos, everything is revolved around the Tuscan landscapes. 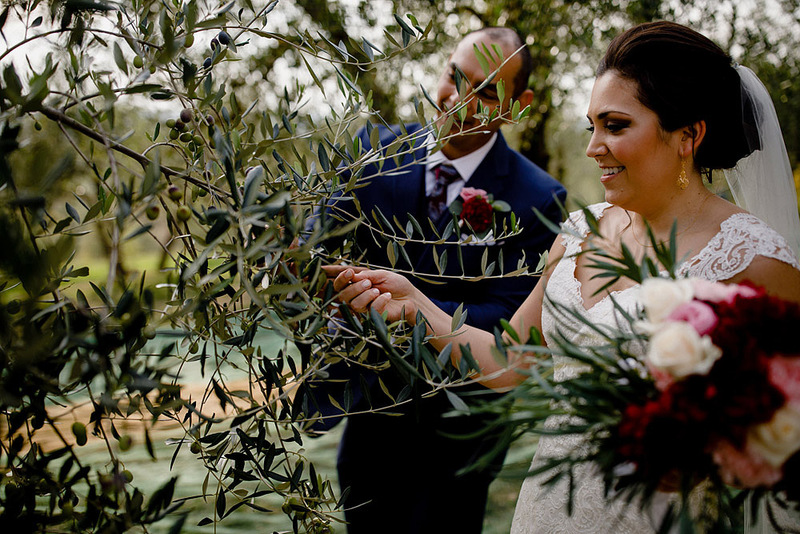 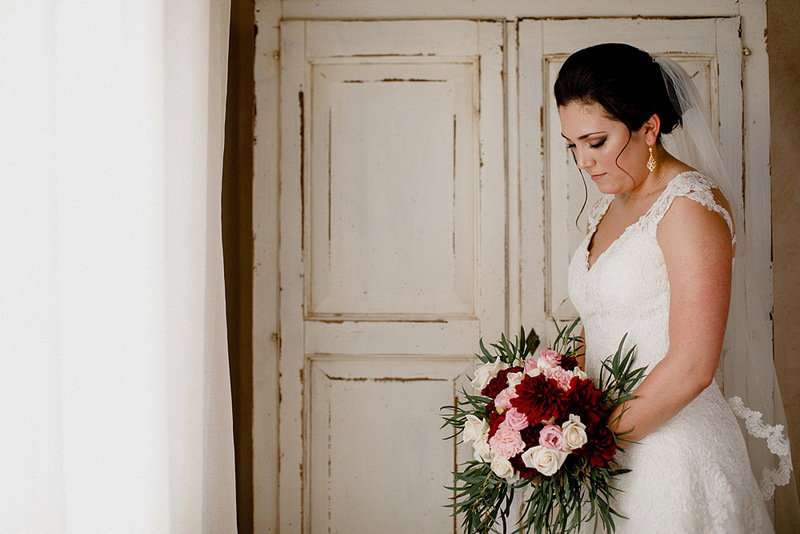 A wedding in Tuscany in October with a palette of rich and intense colors, such as red, burgundy and Marsala, to be combined with the green of olive leaves. 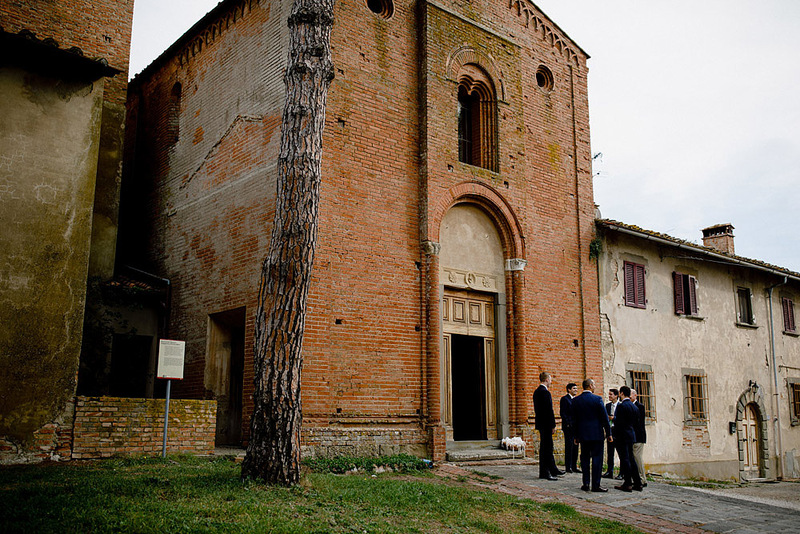 Monterappoli is a special and enchanted village. 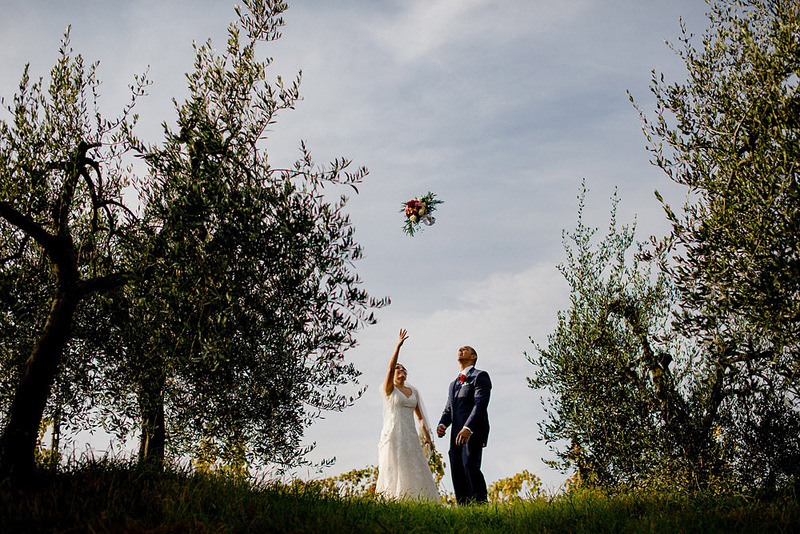 From this height it is easy to get lost with your eyes among the green Tuscan hills, the olive groves and vineyards and the cypresses that pleasantly mark the whole landscape. 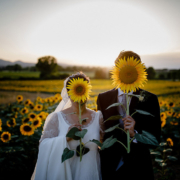 They couldn't have chosen anything better! 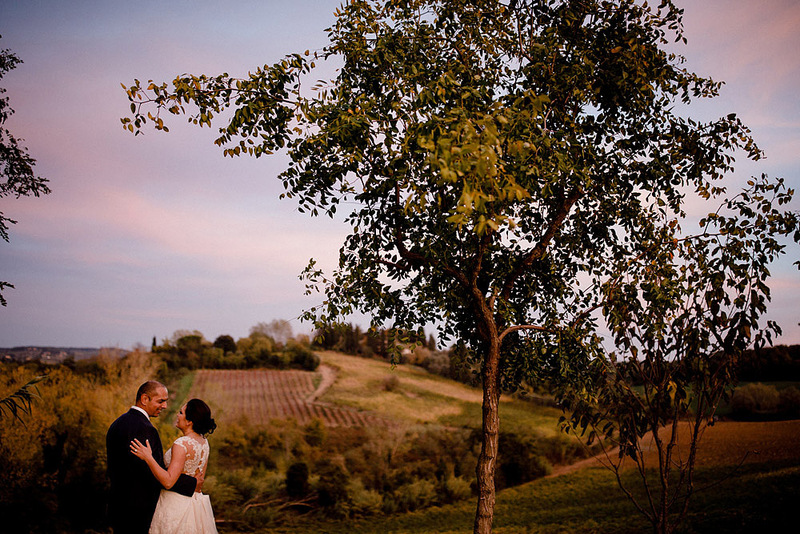 The Tuscan landscape turns deep yellow, moving from red with copper shades, perfect colors for portraits at sunset and dreamy photos in the countryside. 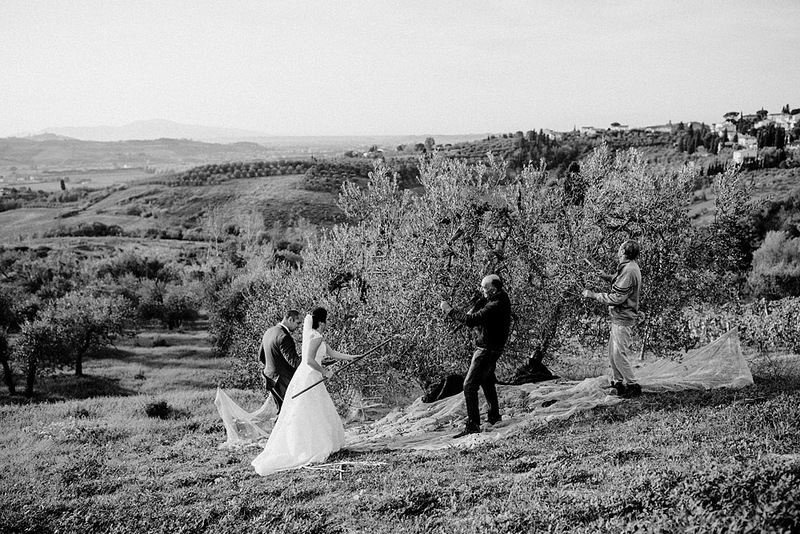 The wedding of Simon and Nadia was, first of all, a great celebration. 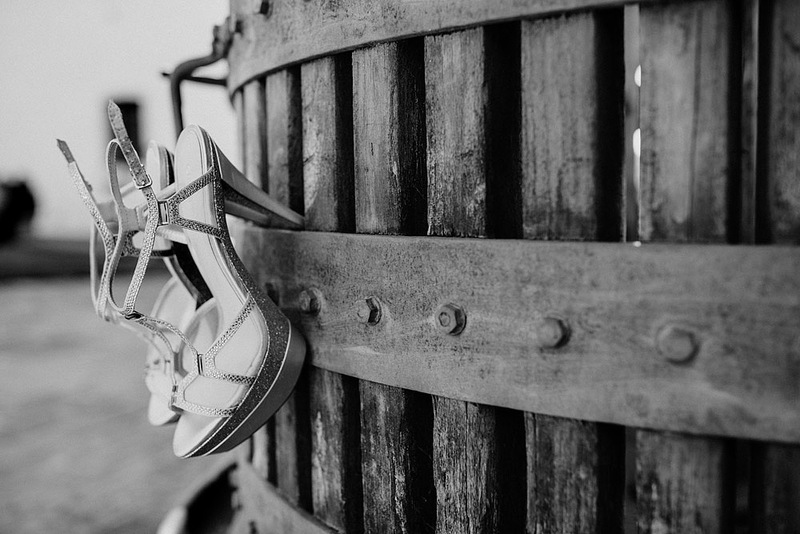 A simple event but with a particular taste. 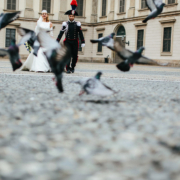 It was evident from the ceremony that all those present would have done somersaults to not miss a minute of their wedding. 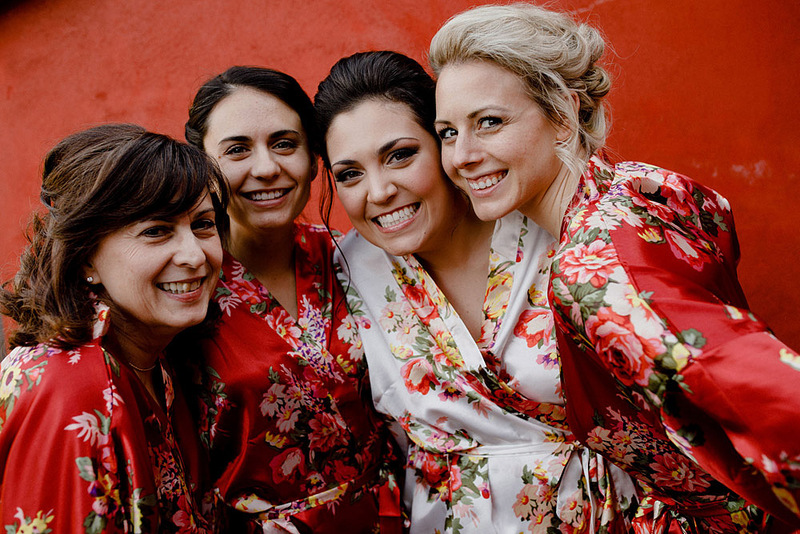 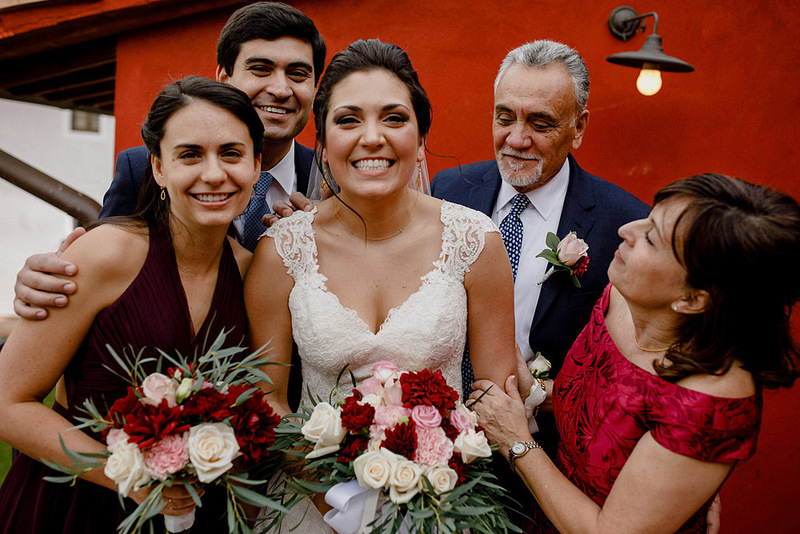 Family members and guests gathered around this beautiful married, smiling and happy couple.